Fuller, more natural listening experience — The world is meant to be heard in “surround sound” and two hearing aids help provide fuller and richer sound for a more natural listening experience. The brain requires input from both ears to hear the world in “surround sound” and using only one hearing aid when two are needed impairs your auditory perception of your surrounding environment. Easier processing of sounds and speech through auditory and cognitive systems — Your ears are designed to work together and binaurally process sounds, and your brain’s two halves also work together to create auditory intelligence. Each ear is responsible for sending unique signals to your brain, and each signal is received differently and affects perception and understanding. In short, your ears and brain work together to create a precise definition of the sound you have just heard, and when only one ear is working to send signals, it can take longer to understand the sound or it can alter the perception of the sound itself. Volume Reduction — When hearing loss occurs, many find themselves turning up the volume on the radio or TV. Wearing two hearing aids eliminates the need for loud volumes and consequently helps reduce your exposure to unsafe listening levels when enjoying radio, movies or music. Tinnitus Management — Hearing aids are often recommended for helping to manage tinnitus, many are equipped with tinnitus specific technology or masking capabilities. 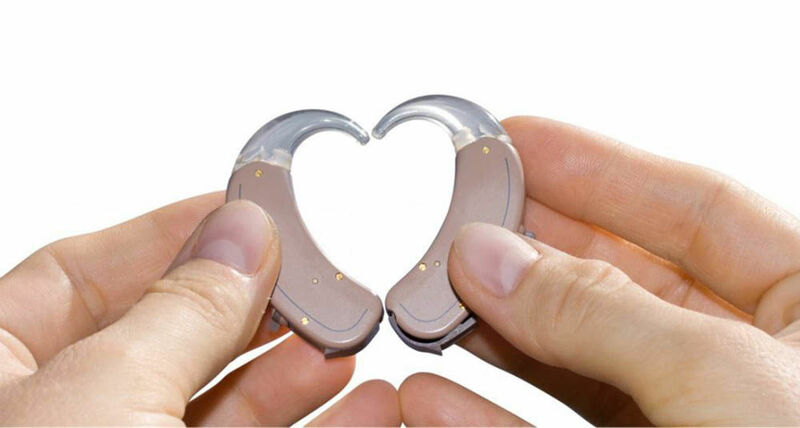 Using one hearing aid will not help mask the ringing in the unaided ear, so it’s recommended that two hearing aids are used when tinnitus is a concern.